Can chaos theory be used to create better microchips? In 1965, Intel co-founder Gordon Moore made a prediction that would then become the golden rule of the electronics industry: computing technology would advance dramatically, with the number of transistors on an integrated circuit doubling every couple of years. The bold hypothesis birthed a digital revolution, and it seems like every year there are better, faster, smaller chip in our devices, but now the laws of physics are saying it might be time for a new golden rule. In 2007, Moore himself said, “We have [about a] decade, a decade and a half” before shrinking microchips becomes impossible, but researchers at North Carolina State want to defy the impossibility posed by the laws of physics, and they’re fighting fire with fire, using physics to beat physics. Technology previously focused on how to keep shrinking microprocessors to fit in a smaller space. Lead researcher Behnam Kia and team believe that the obsession with size has obscured a key fact about how chips are currently built. Kia explained that his team’s theoretical chip design utilizes chaos theory. Instead of each circuit in the chip performing a single function (as they do currently), the circuits would each be multifunctional. 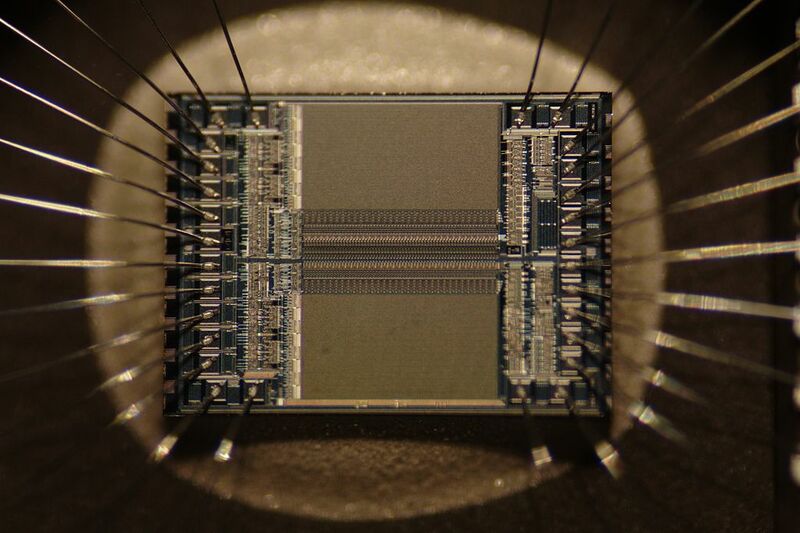 This would allow the same number of circuits to perform an increased number of functions, resulting in more powerful chips without the need to make them any smaller. Though the idea is currently theoretical, the researchers believe that creating a programmable transistor circuit wouldn’t be difficult. In fact, Intel may currently have all the tools needed to reconfigure the chips, the team believes, so their theory could be put into practice with relative logistical ease. These more powerful chips could not only increase the computing power in the devices we use daily, like smartphones, computers, and tablets, they could also revolutionize fields such as transportation, education, and healthcare, all while taking up less space and using less energy. Perhaps most importantly, they could mean our greatest barrier to increased computer power is a non-issue. The sky could be the limit, laws of physics be damned.